Macedonian parliament will vote next week on country’s proposed name change to Republic of North Macedonia. In the awake of the vote, Prime Minister Zoran Zaev is working to secure the needed two thirds (80) of votes in the 120-seat parliament. The government, which has signed the name change Prespes Agreement with Greece, will need the support of the opposition members to pass the required constitutional amendments. Recently Zaev said that it will be impossible to predict the number of votes in support until the day of voting next week. The biggest opposition party VMRO-DPMNE opposes the Prespes Agreement, and it has stated that it will boycott next week’s parliamentary session. VMRO-DPMNE has 40 seats in parliament, hence Zaev is in dire need for all possible votes to reach the required number. There are 12 more opposition deputies in parliament – BESA (2 seats), Alliance for Albanians (2 seats) and independent deputies (8 seats). The two Albanian opposition parties have proposed several constitutional amendments. 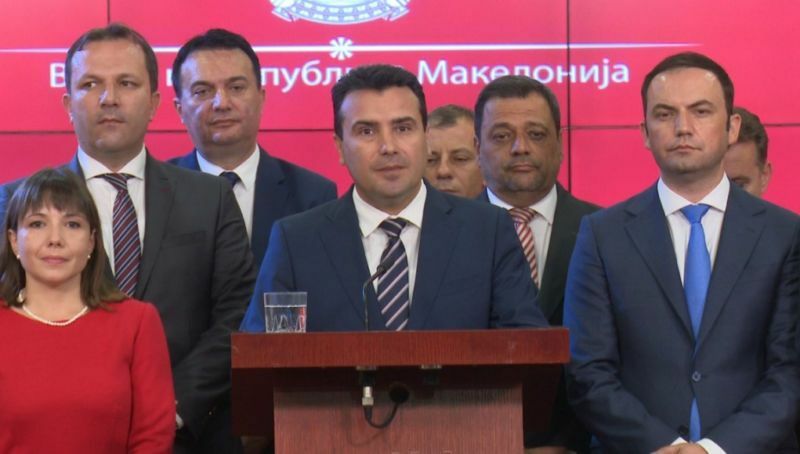 Their main demands relate the replacement of the denomination “Macedonian” with “citizens of North Macedonia”, and for the Albanian language to be an official language besides Macedonian. Their votes are conditioned on these demands, which Zaev had earlier called a “Pandora box”. All Albanian parties in FYROM strongly support the Prespa Agreement, membership in NATO and EU. Today Zaev will meet with the Head of BESA Movement, Bilall Kasami, to negotiate party’s votes in parliament. Zaev is also expected to hold a meeting with the Head of the Alliance for Albanians, Zijadin Sela. A successful vote on constitutional amendments in Macedonia’s parliament would bring an end to the decade-long dispute with Greece, and would open the way to country’s membership in NATO and EU.